Lanzarote is pure geology, underwater and lunar landscapes, transparent waters, thirsty lands, oasis of palm trees, coexistence in harmony between man and nature. Without a doubt, a land of contrasts. Come and enjoy one of the best hotels in Lanzarote for your holidays. Holidays in Lanzarote. The island is surrounded by transparent waters and tiny islands and covered with volcanic remains. Due to the enormous volcanic activity from the 18th century onwards, it has outstanding deep sea and moonlike landscapes. Top things to do on the island of Lanzarote. Where to go in Lanzarote? In Lanzarote you will find a wide range of activities. First, you must visit the capital, Arrecife, and be enchanted by the traditional architecture and the exotic beaches of the city. You cannot leave without visiting the Valley of the Thousand Palm Trees in the region of Haría. This exotic palm grove is located in a natural landscape of endless greens and has more than ten thousand palm trees, many of them native species of the islands. Thanks to the fertility of the land, the area is one of the orchards of the island. It grows potatoes, legumes, cereals and vegetables. Come and enjoy one of the best self catering holidays in Lanzarote. The island of Lanzarote is the first territory to be declared a Biosphere Reserve in its entirety and includes all of the natural areas and towns. The island is internationally recognised for the symbiosis between its people and its natural environment, its artistic creativity and surroundings. The island is well known for the Timanfaya National Park, the cultivation of grape vines, the salt pans, activities related to the sea, art museums and the magical colour of the sky. Arrecife, the capital of the island, is located in the east where the greatest part of the local population live. If you want to discover the most mysterious and enigmatic part of the island, you should visit the famous Cueva de los Verdes, a volcanic tube that has produced the most characteristic cave on the island. In it, the old settlers hid to defend themselves against pirates. Of course, you can also visit the Jameos del Agua, a natural paradise with a beautiful mix of architecture and nature, designed by César Manrique himself. In the north you can see the island of La Graciosa from the majestic Mirador del Río, also from Manrique. In the most central part of Lanzarote, you can relax in Yaiza, where you can visit the church of the XVII century and the wine region of La Geria, and let yourself be dyed by the vineyards. 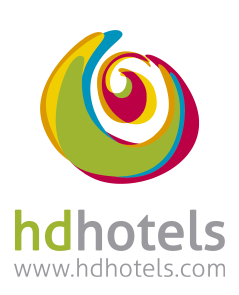 To not miss a single attraction of the burnt island, HD Hotels offers one of the best hotels in Lanzarote.